We’d love your help. Let us know what’s wrong with this preview of Butcher Shop Quartet by Frank J. Hutton. Four Bold Tales to Disturb the Adventurous Mind. This novella collection explores a choice handful of the many guises worn by Nightmare, brought to us by storytellers of different cultures and diverse backgrounds. The Horror Channel�s Scott Johnson gave this book 4 out 5 Mugs of blood! The House on the Hill • shortfictio Four Bold Tales to Disturb the Adventurous Mind. This novella collection explores a choice handful of the many guises worn by Nightmare, brought to us by storytellers of different cultures and diverse backgrounds. 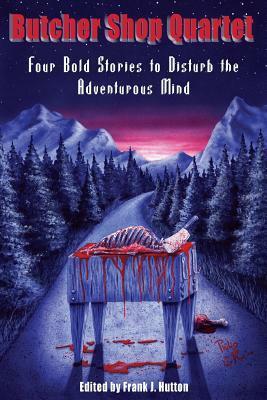 The Horror Channel�s Scott Johnson gave this book 4 out 5 Mugs of blood! To ask other readers questions about Butcher Shop Quartet, please sign up. Better than expected. Not impressed with the first story but the remaining three were good.